Newcastle West Golf club is situated at Rathgoonan just outside the village of Ardagh inCo Limerick. 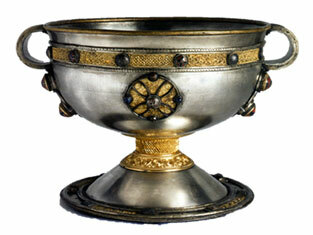 Ardagh of course is the home of the famed Ardagh Chalice, found just a good wedge from the Club. However, locals would be peeved, were we not to point out that the Course is actually located in the Parish of Coolcappa. Our site once formed part of the Cahermoyle Estate, comprising 2775 acres, with 3 Castles, Rathgonan being one of those. Situated just a quarter mile from us is the famed Cahermoyle House, now a Retirement Home, but which in recent history was home to a thriving family of Christian Brothers. They existed by farming the land, milking cows, and selling their produce in the locality. 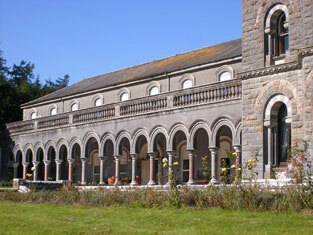 Many prominent families have resided at Rathgonan. Names which trip off the tongue are Smith O Brien, the Fitzgerald’s of the Knights of Glin fame, Colonel Cripps and many more. Many fine horses were bred and trained here, and indeed in the 1960s, Colonel Cripps bred Shot Silk, winner of the Queen Mother Stakes at Ascot. The area around Rathgonan is primarily farm land, which has remained in the hands of the same families for generations. The most prominent sport played here, before the arrival of golf, was Gaelic hurling and football, under the banner of St Kierans in recent history. The club was formed out of the adjoining parishes of Coolcappa-Nenagh, Kilcolman and Carrigkerry and has enjoyed great success. The club takes it’s name from St. Kieran who is the Patron Saint of Coolcappa. We are indeed blessed to have been allowed build our Golf Course amidst the rolling hills of this wonderful parish.